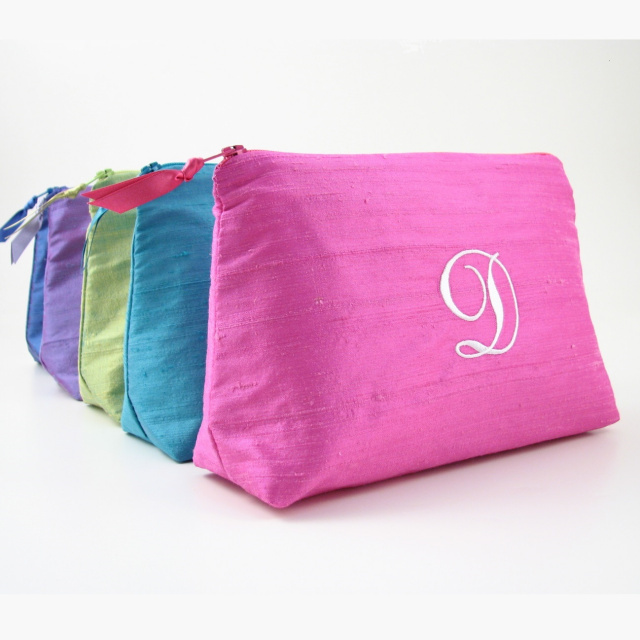 Our cosmetic bags are accented with bright ribbon pulls on a zippered closure & available in two perfect sizes for all your travel needs. 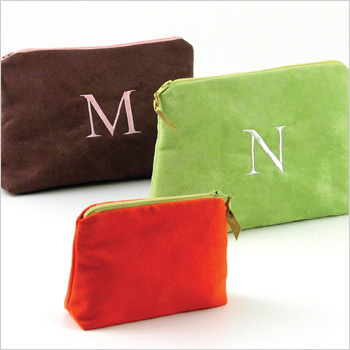 Bags are lined in our unique water repellent fabric and personalized with a single initial or a 3 letter monogram. 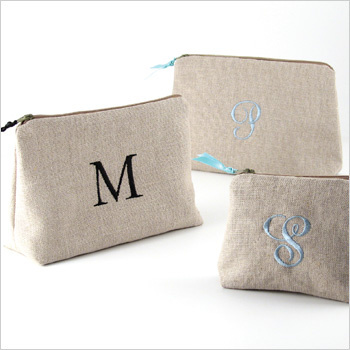 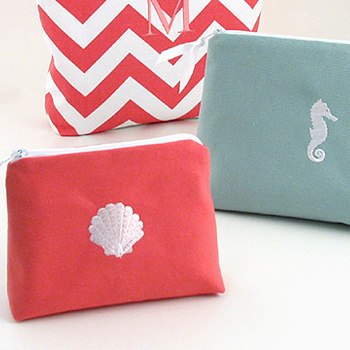 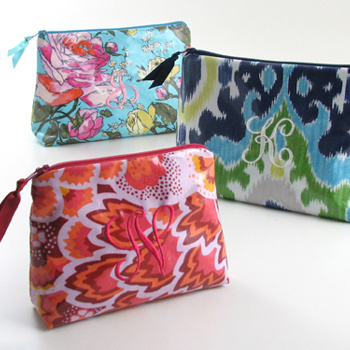 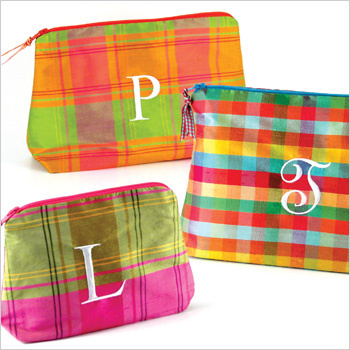 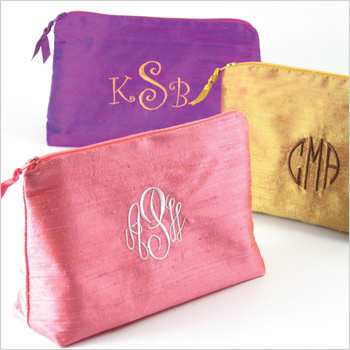 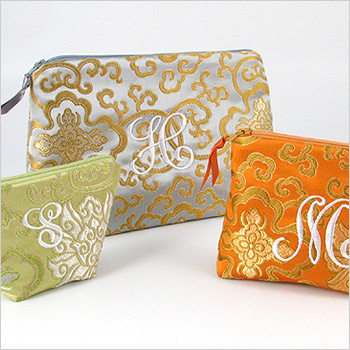 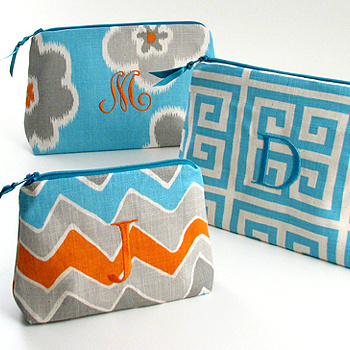 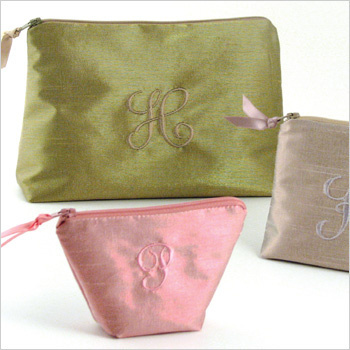 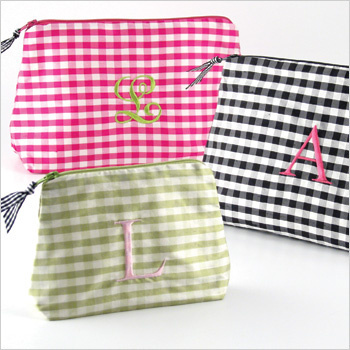 Monogrammed makeup bags are the perfect for bridesmaid gifts, teacher gifts, or just for you. 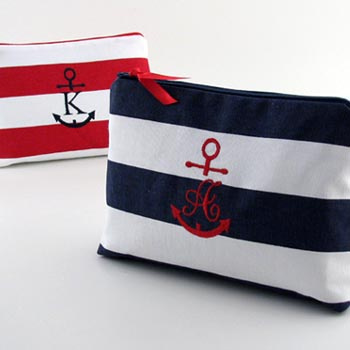 Proudly made in the U.S.A since 1996.